Hi, my name is Gamal, Egyptian and currently living in Doha/Qatar. 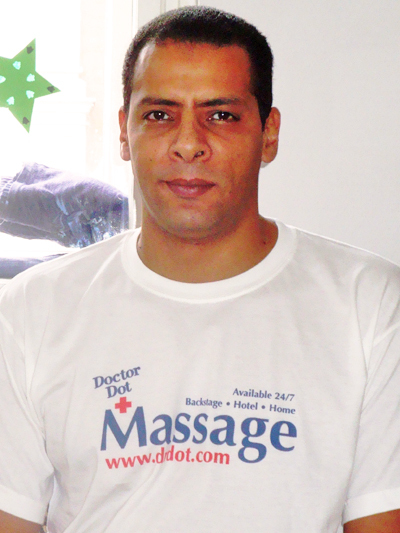 I discovered my passion for massages back in 1997, when I was playing volleyball in the Egyptian National team and receiving massages myself. I was visiting different courses, obtained diplomas with different institutes and companies - so, providing massages became my hobby and my profession. The last years I was working in the Middle East in a 5- Star Hospitality Group as well as in a very famous rehabilitation hospital and I was the masseur in charge of a football team. I am very much experienced in working for international clients with different preferences, needs and requests. Next to Deep Tissue Massage, I have profound experience and knowledge in Swedish-, Sports-, Head-, Face- and Full Body Massage. I am looking forward to sharing with you my passion and expertise and wow you through my massage treatment.